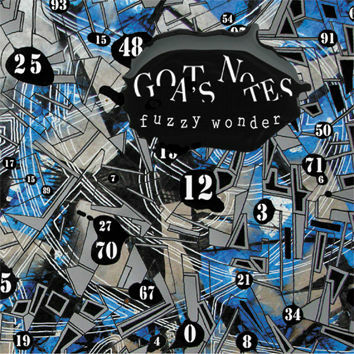 Goat's Notes is a group of six young, highly professional, well educated musicians from Moscow. Free jazz and improvisation remain one of the main features of their music making. Nevertheless, their music has been inspired by the ethno-jazz-rock-folk-avant-garde scene of Moscow. They are something like a Russian version of Zappa's "Mothers of Invention." This is music without borders. It seems that when the group gets on stage to perform the most important thing for these musicians is to surprise themselves. Grigory Sandomirsky - piano, melodica, Vladimir Kudryavtsev - bass, Maria Logofet - violin, Piotr Talalay - drums, Andrey Bessonov - clarinet, Ilya Vilkov - trombone.